Tauqeer Ali Randhawa does not show any emotions when he narrates the events leading to the murder of his father, Naimat Ali Randhawa. He was gunned down near his home in Karachi’s Nazimabad neighbourhood on September 26, 2013. Naimat Ali was leading the prosecution side before an anti-terrorism court that was hearing the murder case of a television reporter, Wali Khan Babar, who was killed in Karachi in January 2011. “My father wanted to re-examine a witness but some of his friends advised him to withdraw from the case,” says Tauqeer Ali, who is also a lawyer. Those friends were, in fact, conveying him a message from someone who did not want the trial to proceed. “My father did not withdraw,” Tauqeer Ali adds. Other public prosecutors had done just that. Muhammad Khan Buriro and Mubashir Mirza withdrew from Babar‘s case after an eyewitness, Haider Ali, who had identified the suspects in front of a judicial magistrate after their arrest, was killed in November 2012, a day before he was to testify in the trial court. 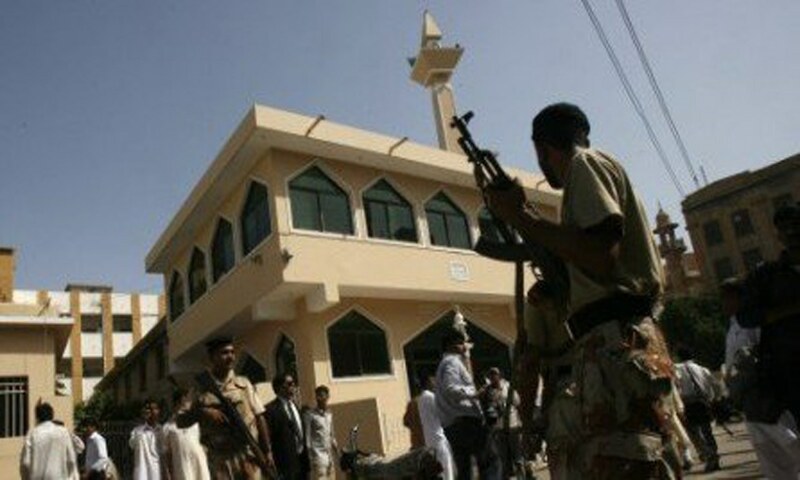 In Karachi – where hundreds of cases against the activists of sectarian and militant organisations, criminal gangs and target killers are being heard by anti-terrorism courts – threats to the lives of prosecutors who represent the state in these trials are numerous and real. But, as Buriro points out, most of the public prosecutors do not get official security even when they inform the government about the scares they face. To cite just one example, Naimat Ali had apprised his seniors and the Sindh home department about the “messages” being conveyed to him through his friends but the government took no measures to ensure his safety. According to Tauqeer Ali, his father had joined the Prosecution Service as a deputy district attorney after passing a Sindh Public Service Commission examination in 1992 — he worked on some very important cases during his career. Tauqeer says prosecution was not Naimat Ali’s sole source of income (he owned hundreds of acres of agriculture land in Bahawalnagar district in south-east Punjab) and that is why he performed his duty without fear or favour. He never deemed anyone guilty before the evidence had proven them so and did not insist on getting anyone convicted on the basis of evidence that did not exist, adds Tauqeer. “He conceded before an anti-terrorism court that there was no evidence to prove the involvement of a certain suspect in a failed attempt to assassinate General (retd) Pervez Musharraf while his motorcade was passing through Karachi’s Sharae Faisal road.” Musharraf was the president of Pakistan at the time of the trial. Naimat Ali, similarly, conceded before the court that the state did not have any material evidence or eyewitness to prove that Asif Ali Zardari, the Pakistan Peoples Party leader who later became the president of the country, was involved in the 1996 murder of Sindh High Court’s judge Justice Nizam Ahmed. This again was done during the Musharraf regime which wanted to leave no stone unturned to have Zardari convicted. These incidents suggest something: if Naimat Ali was willing to concede a case over lack of evidence, he would not relent in prosecution if he had evidence to have someone convicted. That is what his killers feared the most in Babar’s case, says Tauqeer. Sitting inside the Sindh High Court’s cafeteria on a hot summer noon in June 2014, Abdul Maroof, the then public prosecutor in Babar’s case – as well as in several other cases including the case of Akram Lahori, an infamous assassin belonging to the dreaded anti-Shia militant organisation Lashkar-e-Jhangvi – complained to reporters that the government was not fulfilling its promise to send him abroad. He claimed that the provincial authorities had promised him that he would be shifted outside Pakistan if he had won convictions against the alleged activists of the Muttahida Qaumi Movement (MQM) for Babar’s murder. Before this complaining, he had survived two attacks on him — both made during his tenure as a public prosecutor. On November 21, 2013, armed men tried to break into Maroof’s house in Karachi’s Defence Housing Authority area; the intruders escaped when he fired at them. On April 7, 2014, his house was attacked with gunfire. Five days later, his brother was killed by unknown assailants in Jhelum. It is not clear if the murder was linked to Maroof’s work as a public prosecutor in Karachi; he claims it was. Maroof often said the government wanted him to keep those incidents to himself. After the murder of his brother, he told his friends in the media that his superiors were advising him to stop publicising the attacks against him and his family. In August 2014, Maroof left Pakistan for the United States on a student visa. His bosses were not happy with that. They sent him a show-cause notice, asking him to explain as to why he had proceeded abroad without informing them. Maroof said in his reply – submitted to the chief secretary of Sindh in December 2014 – that he had to leave in a hurry because the senior most police officials in Karachi had informed him that he was on the hit list of several terrorist organisations. He also claimed in his response that the provincial law secretary had duly sanctioned his leave. He, however, did not return to Pakistan even after his leave ended. Moving abroad is one of the many safety mechanisms public prosecutors employ to keep themselves and their families safe. All of Naimat Ali’s family – except Tauqeer Ali – is living in Saudi Arabia. The other preferred ploy is to acquire official security escorts. Tauqeer, who is staying in Karachi and claims to have no intention of leaving the country, moves around under strict police guard. Most public prosecutors, however, complain they have been left to fend for themselves. District and deputy district prosecutors do not even have official vehicles to move around, says Buriro. Naimat Ali and Maroof were selected for recruitment through the Sindh Public Service Commission. This is a standard practice for appointing district level public prosecutors. 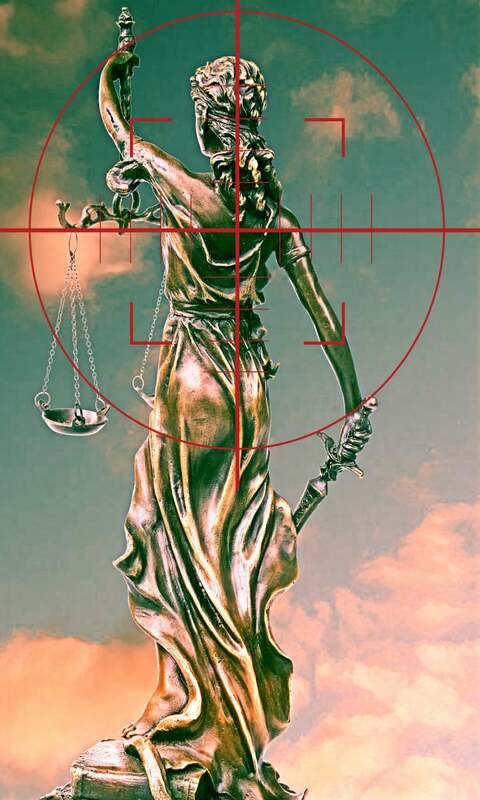 Sometimes, the government engages senior lawyers to work as special public prosecutors in important anti-terrorism cases as is provided by Section 18 of the Anti-Terrorism Act 1997. These are generally cases in which the government prosecutors either refuse to appear due to security reasons, or they do not have the required expertise or experience to handle the legal complexities. Buriro and Mirza have been chosen as special public prosecutors in a number of anti-terrorism cases. The former, for example, served as a public prosecutor against Sindh Rangers officials who were tried for killing a young man, Sarfraz Shah, in a public park in June 2011. They complain the government does not treat special public prosecutors well. Even the compensation paid for the job sometimes is far less than the one originally promised, they say, and cite their own case to substantiate their claim. The government engaged them as special public prosecutors in the Safoora Goth massacre case at a promised remuneration of one million rupees but then, claims Buriro, the amount was suddenly reduced to even less than 10 per cent of the original — to only 80,000 rupees. They refused to work on the case. “Who would risk his life for such meagre amount of money and conduct prosecution in cases involving suspects who have affiliations with terrorist organisations, such as the Islamic State and the al-Qaeda?” asks Buriro. [Naimat Ali Randhawa] conceded before a court that there was no evidence to prove the involvement of a certain suspect in a failed attempt to assassinate General (retd) Pervez Musharraf. Prosecutor General Sindh Shahdat Awan, the highest official of the government prosecution in the province, dismisses many of the security concerns public prosecutors claim to be facing as a result of their job. He agrees that they, like many other professionals in Karachi, do face threats but these stem from a general lack of law and order. “During the last four to five years, around 60 lawyers have been killed in Karachi alone. Were they all prosecutors?” he asks and then answers: only two or three of them were. Reasons for these killings, he says, are not necessarily related to the profession of the deceased. “If there is really any threat to the life of an official in terrorism cases, it is to the investigation officer who collects evidence and records statements of both the witnesses and the suspects,” Awan says. Awan wants them to raise their security problems at appropriate forums. They should inform their professional associations such as the Pakistan Bar Council or the Sindh High Court Bar Association so that these forums devise a well thought-out package of demands that is then presented to the provincial government. These demands, Awan says, can include improvement of security for everyone linked to anti-terrorism cases — judges, prosecutors, investigators and witnesses. Fifty-year-old Saeed Naeem is a senior public prosecutor at the Anti-Terrorism Court-II in Swat. He led the prosecution side in the trial of the attackers who had tried to kill peace activist Malala Yousafzai while she was riding a school bus in 2012. 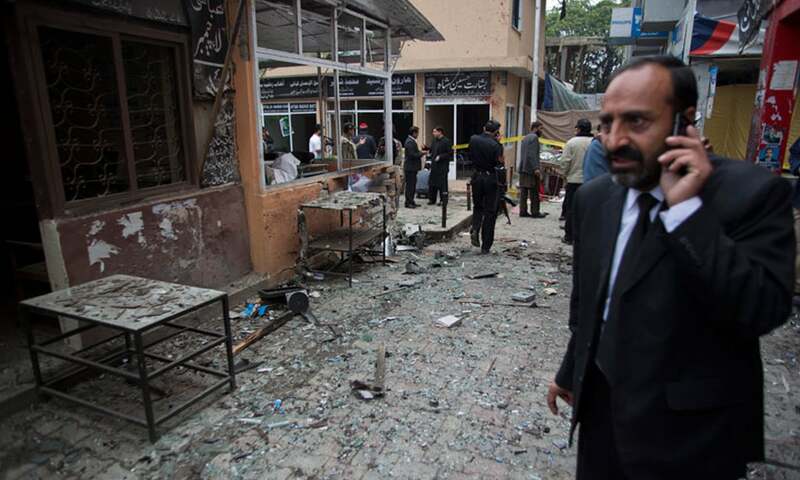 The trial took place inside Swat’s Pakistan Australian Institute of Hotel Management which the military had taken over to use as a rehabilitation centre for captured Taliban militants. Before one of the hearings of the case, Naeem asked Swat’s district police officer (DPO) to provide him an official vehicle so that he could travel to the institute, about 20 kilometres to the north of Mingora city where the office of the public prosecutor is located. His request was “flatly refused”. He, then, asked a friend travelling by car in that direction to drop him there. 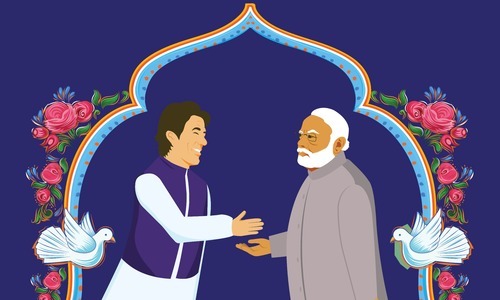 “When I reached the institute, an army colonel received me inside the gate and was surprised to know that I had travelled in a private vehicle without any security,” Naeem says. “The colonel called the DPO and told him to immediatly arrange an armoured personnel carrier and a pick-up truck for my travel back home.” The two vehicles were waiting for him when he got out of the court. He says security threats have been an even bigger problem for him than the absence of official transport. He recalls the judge who announced the verdict in the Malala attack case in June 2015 – convicting two people and acquitting eight others – was sitting in the court with his back towards the suspects so that they could not identify him. The prosecutor, on the other hand, was in full public view while he was arguing in favour of their conviction. Since the announcement of the verdict in the Malala case, Naeem has been receiving calls from unknown phone numbers – even those registered in Afghanistan – threatening him of serious consequences for his role in the case. On September 17, 2015, the threats assumed a concrete form: unknown armed men fired multiple shots at his home. Instead of providing him security, the police in his neighbourhood were reluctant to even register a first information report (FIR) of the firing incident. He had to move the court to get that done. In some instances, the government provides armed police guards to public prosecutors for their security. But, some of them say, this arrangement causes them more problems than it solves. Arif Bilal, a senior public prosecutor in Swat, cannot have a permanent guard with him because he often uses a motorcycle or public transport – such as an auto rickshaw – to travel around. “I cannot avail this facility,” he says. Bilal was the public prosecutor in the trial of Sufi Muhammad, the head of the banned Tehrik-e-Nifaz-e-Shariat-e-Mohammadi. The trial took place inside Central Prison Peshawar. On every hearing, he reached the court on his motorcycle and at times on foot. The irony is that all the judicial record of the trial was transferred to the prison in a police van guarded by an elaborate security arrangement. “We are defending the state at judicial forums but we ourselves are victims of the government’s [negligence],” he says. While lack of transport is an almost universal complaint that public prosecutors in Khyber Pakhtunkhwa make (this, they say, hampers them from performing their legally required duty of being present at a crime scene as early as the police), lack of office space is another important problem. Only recently has the provincial government paid attention to their demands in this regard. According to Naeem, offices for them are now under construction in 11 out of 25 districts of Khyber Pakhtunkhwa. As of now, they operate mostly from temporary or borrowed facilities. Naeem, for instance, has an office on the premises of the district courts in Mingora but every now and then the district and sessions judge send him notices to vacate it. Nawab Zarin was a public prosecutor at the Anti-Terrorism Court in Bannu before he was dismissed from his post on January 29, 2015. According to the government charge sheet against him, he had “failed to manage properly the prosecution of the cases” assigned to him. He, somehow, knew about his dismissal beforehand and started lobbying to have it reversed before it was officially announced. He travelled to Peshawar in the first week of January last year and stayed with a friend in order to arrange a meeting with Chief Minister Pervez Khattak. After hectic efforts, he got a rare appointment with the chief minister for January 5, 2015. Two days before that, on a chilly night, Zarin received a call at around 5 am. The caller – his elder brother – told him that their father had passed away in their hometown of Bannu. Zarin rushed back home to attend the funeral of his father. In less than two days, he was back in Peshawar. “I had no other option.” He could not afford to miss his meeting with Khattak. His pleading before the chief minister did not save his job, though. It was only after he had formally challenged his dismissal on February 18, 2015, that Khattak changed it into a demotion. Zarin is now fighting against that at a service tribunal. “I regret that I could not attend the soyem of my father,” he says when he talks about his futile meeting with Khattak. Zafar Abbas Mirza, a deputy director at the Directorate of Prosecution in Peshawar, has had similar problems in maintaining a balance between his family responsibilities and his work. He does not go to the funerals of even his close relatives. He and his family cannot move without armed guards accompanying them. His children remain confined to their home and do not go anywhere except to their school. All this is for a serious reason. When a target killer, Mohammad Zahir alias Japanay, was gunned down in a police encounter on November 12, 2014, Abbas’s photo was found saved in his cell phone as a possible target, according to a report from the Counter Terrorism Department. A subsequent security report suggested “extreme vigilance, heightened security and precautionary measures” for Abbas. The prosecutors in Khyber Pakhtunkhwa have got together and formed an association to have their complaints addressed. Called Prosecution Officers Welfare Association, it is headed by Naeem. On May 3 this year, it sent a letter to the provincial home secretary, seeking time for a meeting to discuss the problems being faced by 223 public prosecutors across the province. “The home secretary has yet to give us time for the meeting,” says Naeem. This was originally published in Herald's July 2016 issue. To read more subscribe to Herald in print. The future of the country is at stake here. Prosecutors present the evidence before the judges that send militants and criminals to prison. Without them you can turn the country over to men with guns. This was true before the Army operation Zarz-e-Azb in FATA, north, south Waziristan, many tribal agencies and the Rangers operation in Karachi. Now there are anti terrorist courts running and dozens of them prosecuted and hanged in many cases, without any fallback. So this was true earlier, not now. We all know which foreign agency is linked to the political party inferred to in the article. RIP more victims in Quetta today on 8th Aug. This column is timely and more truer than before.